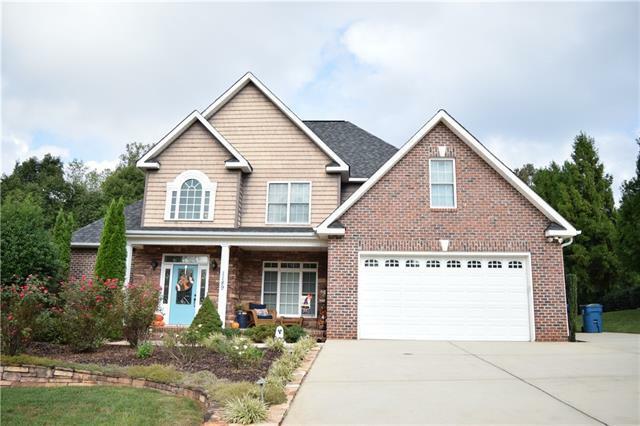 Welcome to Waterford Drive in Brookstone w/Main Floor Living! This lovely subdivision in the Mt. Veiw area of Hickory is just waiting for you to move in. Conveniently located near I-40, 321 and 127 for a super fast commute. You can be in downtown Hickory in less than 10 minutes and its under an hour to Charlotte Douglas Internation Airport. Main Floor offers: Master Suite, Spacious Eat-in Kitchen w/bar seating as well as breakfast area, Formal Dining Room, Living Room w/Fireplace, half bath, Laundry and attached double garage (3rd bay detached). Upper Level offers 2 additional bedrooms, Bonus Room and a large full bath. Exterior offers: .49 Acres, Level yard, Covered Patio, Deck, Front Porch and additional Detached Garage for a total of 3 garage bays. Don't miss seeing this fantastic home in the Mt. View area of Hickory!